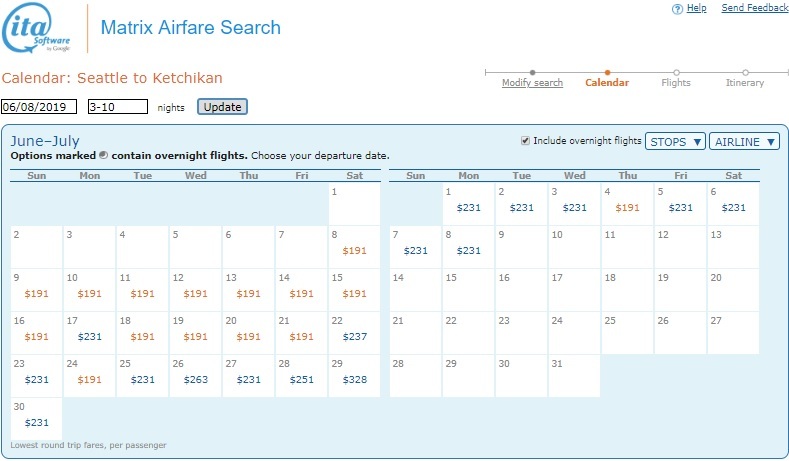 A rare mid-summer deal from Seattle to Southeast Alaska on Delta Airlines! This fare was typically over $400 when Alaska Airlines had a monopoly in this market. Seasonal pressure from Delta, Sun Country and Jetblue has made the state of Alaska a lot more accessible in recent years. This is Delta’s Basic Economy fare so a carry-on sized bag is included. Checked luggage and seat assignments are extra. The best dates are in June and August with a few scattered throughout July, as well. Use ITA Matrix Software to find the cheapest dates. Book direct through Delta for the frugal fares!